25m USB Active Extension Cable, Active Repeater Cable 25m. 25m USB extension cable, active repeater cable. Up to 2 USB Repeater Cables can be daisy chained. Fully compliant with USB 1.1 & 2.0 specification. Connectors USB A female to USB A male. Data transfer up to 480Mbps. 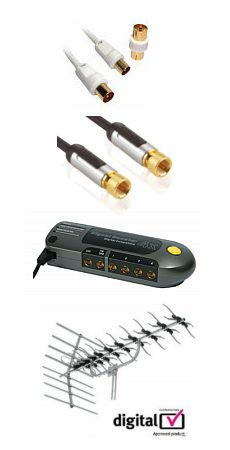 The KVM CPU Switch Kit allows users access to 8 IBM compatible computers from one PS2 keyboard, PS2 mouse and VGA SVGA monitor. Switching between computers is easy as pressing the push button or entering hot-key commands from your keyboard. There is no interface card or software to install and it is independent of the computer operating system. For KVM Switch Boxes with built-in OSD control, you can name your computers, switch to a computer from a list, configure settings with easy-to-use menus, view the name of the selected computer on -screen with programmable time interval. The OSD displays the system status throughout operation. Improved technology ensures steady OSD menu between computers of different VGA resolutions and smooth switching without leaving OSD garbage characters on the screen. 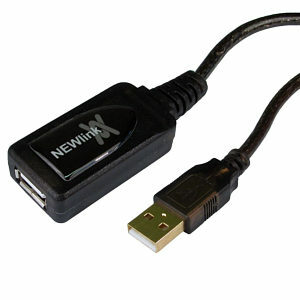 Firewire 6 pin male to 4 pin male data cable commonly referred to as IEEE1394, used for connecting devices such as camcorders to your computer.